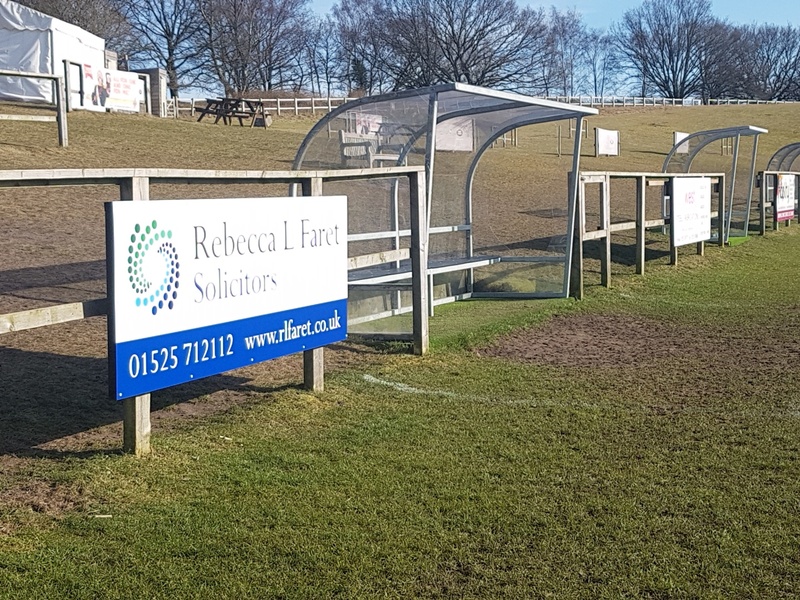 Rebecca L Faret Solicitors behind the scenes and in the community. When we’re not busy working on files and dealing with our clients, the team at Rebecca L Faret Solicitors enjoy doing various activities, helping out in the community and raising money for charity. We have documented some of the things we get up to below! 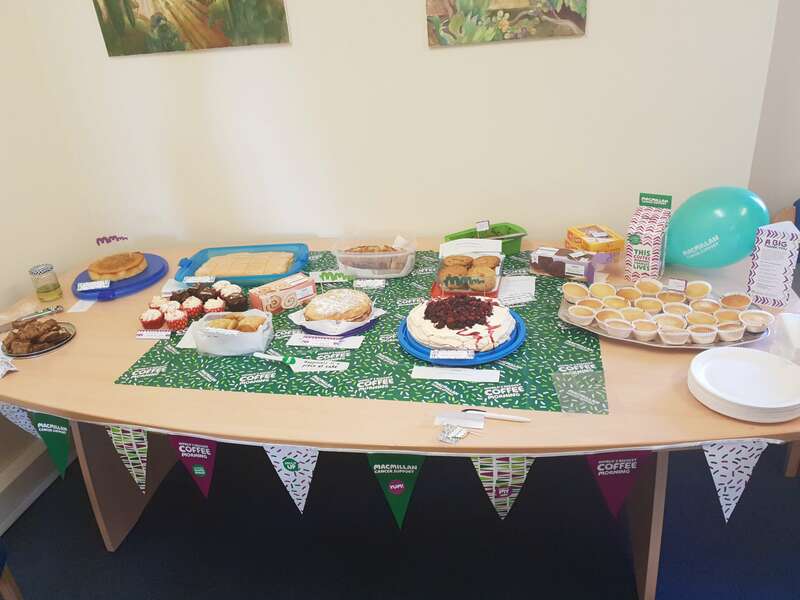 Recently, the team at Rebecca L Faret Solicitors joined The World’s Biggest Coffee Morning to raise £625 for Macmillan Cancer Support. For the World’s Biggest Coffee Morning, people all over the UK host their own Coffee Mornings and donations on the day are made to Macmillan. 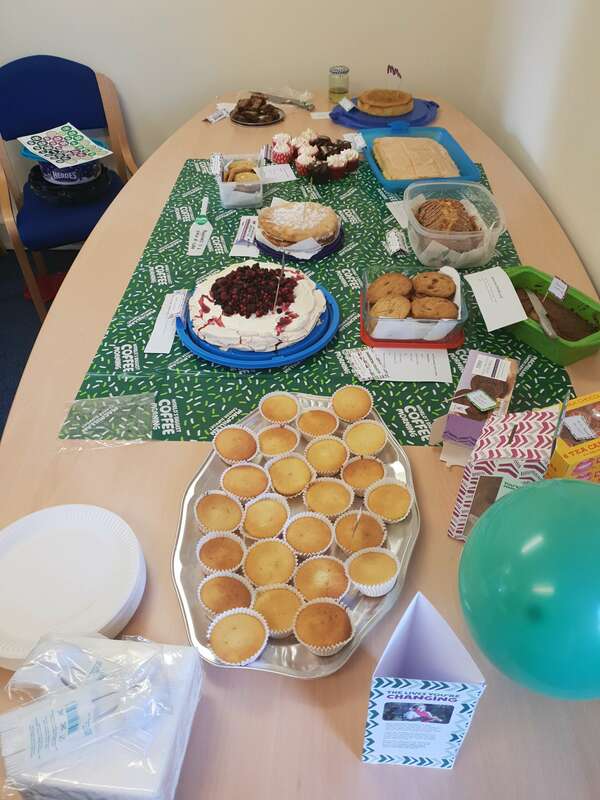 This year, the team baked cakes and joined in the fun whilst also raising money to support the work of Macmillan. Recently, our team undertook Mental Health First Aid training provided by Mental Health First Aid (www.mhfaengland.org). Mental Health First Aid (MHFA) England is a community interest company working to increase mental health awareness and skills across society. Their range of courses are designed to empower people to support their own mental health and that of the people they connect with in life. By giving people the facts about mental health and the practical skills to support wellbeing, we work towards building healthier communities free from stigma. Rebecca L Faret Solicitors are pleased to be once again supporting Flitwick Town Council's Christmas Lunch for older people. The Christmas Lunch provides a special lunch for 160 residents from Flitwick and the surrounding towns and villages. The event is much more than just a Christmas dinner. The event provides a lunch comprising of Turkey and all the trimmings, provide entertainment, a visit from Father Christmas and every guest receives a gift to take away. 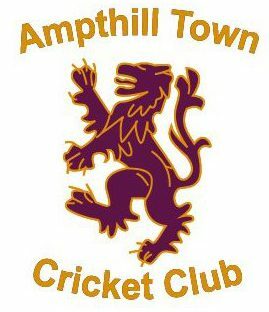 Rebecca L Faret Solicitors are pleased to now be supporting Ampthill Cricket Club. If you are at a match this summer, keep a lookout for our advertising. Recently, three members of the Rebecca L Faret team completed a course to become Dementia Friends. The Alzheimer’s Society’s Dementia Friends programme is the biggest ever initiative to change people’s perceptions of dementia. It aims to transform the way the nation thinks, acts and talks about the condition. A Dementia Friend learns a little bit more about what it's like to live with dementia and then turns that understanding into action. Penny, Laura and Kasia are now Dementia Friends and will be putting their new skills into practice when dealing with clients whom are living with Dementia themselves or whom are living with and caring for those with Dementia. We are sponsoring Kingsmoor Lower School to help them get new equipment and kit and to fund their annual tournament and presentation. Rebecca L Faret Solicitors are once again supporting our local community by sponsoring the Flitwick Carnival 2018 Front Cover Colouring Competition. 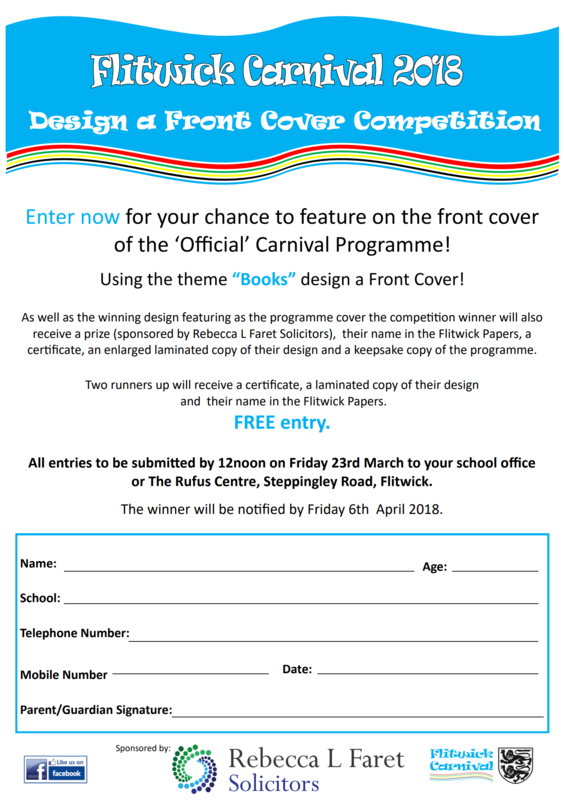 Download your entry form for a chance to have your design as the front page of the Carnival Programme! As well as the winning design featuring as the programme cover the competition winner will also receive a prize, their name in the Flitwick Papers, a certificate, an enlarged laminated copy of their design and a keepsake copy of the programme. 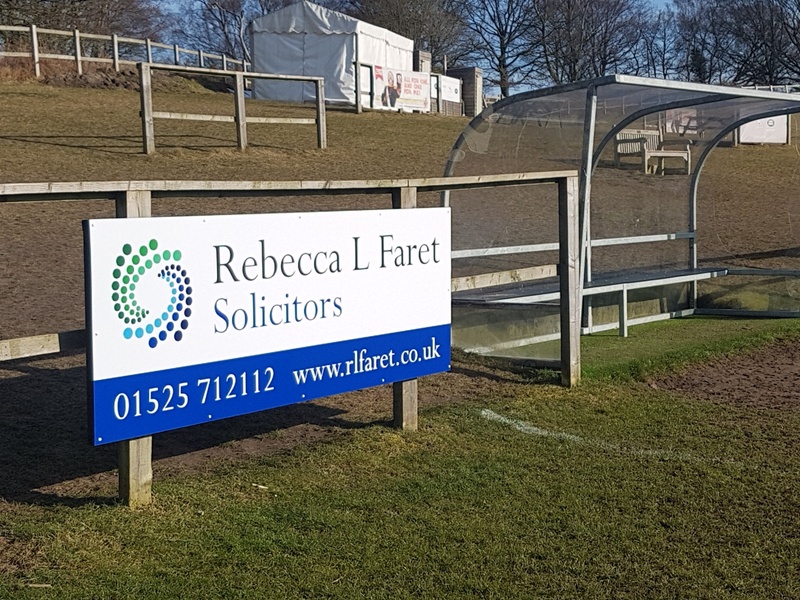 Rebecca L Faret Solicitors are pleased to now be supporting Ampthill Rugby Football Club. If you are at a game, keep a lookout for new advertising sign. 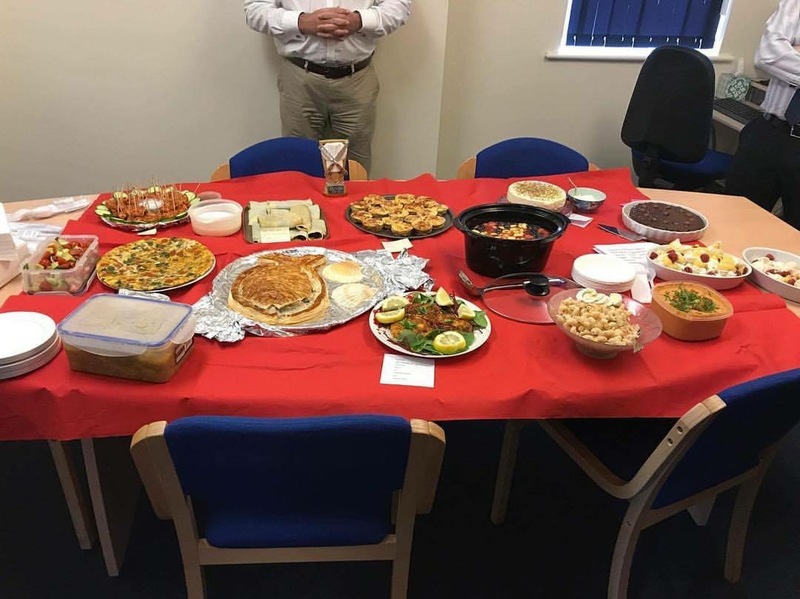 In March this year, the team at Rebecca L Faret Solicitors put their culinary skills to the test by organising and running the “Great Rebecca L Faret Solicitors Bake Off” to raise money for Comic Relief. Each member of the team paid an entrance fee to take part and then carefully and loving baked some delicious treats to be blind judged by the two partners. The team then paid money to have a taste of each cake. Amongst the amazing selection was carrot cake, blueberry and lemon drizzle cake and an oreo cake. 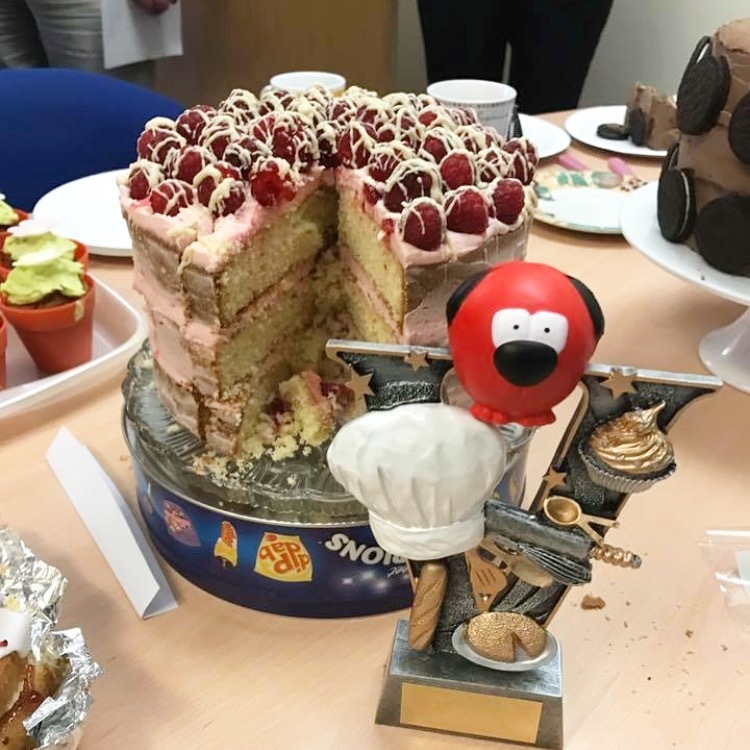 Up for grabs was the extremely sough after Bake Off trophy and of course a red nose! After an extremely tough decision, our Conveyancing secretary Sarah was crowned the winner, with her amazing 3 tiered white chocolate and raspberry cake which looked and tasted incredible! It was a delicious and enjoyable experience for all involved and we raised (including gift aid) £78.75 for Comic Relief! 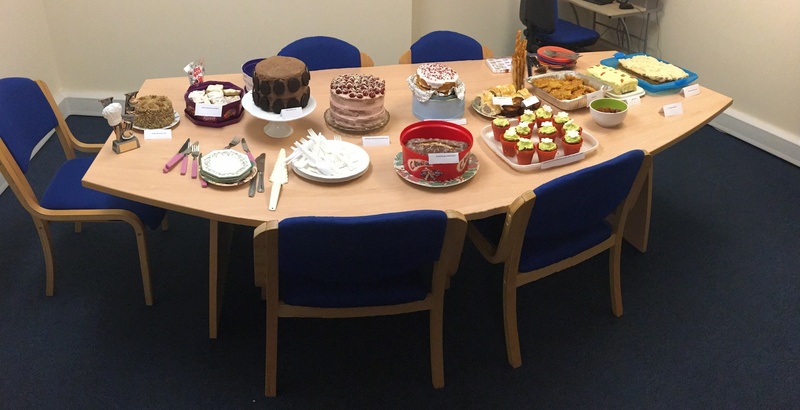 We plan to carry on the tradition and have an annual Great Rebecca L Faret Solicitors Bake Off and continue to raise money for Comic Relief. Following the success of our Bake Off completion, in September, we decided to run a Rebecca L Faret Solicitors Master Chef. Amongst the selection was chicken tikka, gazpacho, potato and cauliflower curry, fish pie, key lime pie and even a healthy fruit salad. Each member of the team made either a starter, main course or a dessert. Each member of the team then tasted each dish and were allowed to vote for their favourites. We clearly have a very talented team as each dish was absolutely amazing and it was a very close competition. Our private client secretary Louise was crowned the overall winner with her delicious and indulgent Chocolate Malteasers Cheesecake and she took home the Master Chef Trophy. Last Christmas the team at Rebecca L Faret Solicitors collected goods for The Need Project . There were a selection of tins and packet foods and even nappies and toiletries. 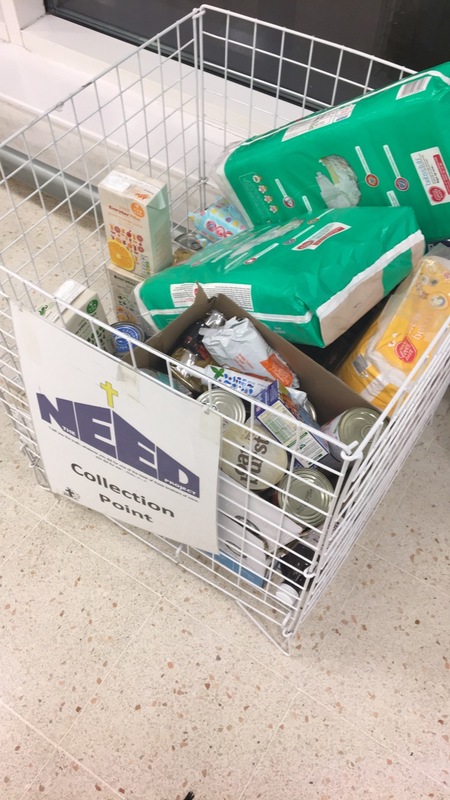 These were deposited at the Waitrose bank and we hope that this went some way to helping some of the local community at Christmas. Rebecca L Faret Solicitors in the past have sponsored the Older Persons Christmas lunch in Flitwick which is ran by the council. Members of the team have also volunteered to waitress at these events. Rebecca L Faret Solicitors were asked to run a talk on Lasting Powers of Attorney for the Forget Me Not Group at the Rufus Centre in Flitwick. This is a group for members of the community who suffer with memory problems or dementia and their carers. The talk was a huge success and it was great for us to be involved with such a good cause, discussing an important subject. We have also donated funds to the council to assist in purchasing Ipads for the Forget Me Not Group.  If you are a local group in the community and think that Rebecca L Faret Solicitors could assist you in any way, please contact us.